The DSC WST-600 is a smoke detector and CO detector takeover module that actively listens for the sound of a triggered life-safety sensor. The device operates at 433 MHz and allows users to integrate existing life-safety sensors with their system. 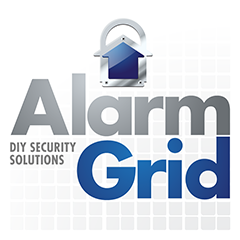 Purchase the DSC WST-600 from Alarm Grid. The DSC WST-600 FireFighter is a life-safety sensor takeover module designed for use with 433 MHz DSC Alarm Systems. This device works by actively listening for the unique temporal sound of a smoke detector or carbon monoxide detector. It alerts the system upon hearing this type of sound. Once the system is notified that the DSC WST-600 has been activated, it can respond in a number of different ways. But most users will have the system send out an alert to a central monitoring station so that immediate emergency dispatch can be provided. Remember, this device will only work with 433 MHz systems. Alarm Grid also offers similar takeover modules for 345 MHz systems and for 319.5 MHz systems in order to accommodate users with panels that operate at those frequencies. The main benefit of the DSC WST-600 is that it allows users to integrate their existing, high voltage life-safety sensors into their current security setup. As long as the existing sensor produces the proper temporal tones, it can be successfully used with the DSC WST-600. And if the wired life-safety sensor is interconnected with other devices, a single DSC WST-600 module can monitor the entire building! The DSC-WST-600 is perfect for integrating combination, high voltage smoke and CO detectors with a low voltage alarm system. When monitoring for both smoke and carbon monoxide, each DSC-WST-600 will require two separate zones. One zone will be used for fire detection, and the other zone will be used for CO detection. When the DSC-WST-600 hears the temporal 3 sound a smoke detector makes, it will transmit using the serial number programmed as a fire zone. When it hears the temporal 4 sound for carbon monoxide, it will transmit using the serial number programmed as a carbon monoxide zone. For best results, the DSC WST-600 should be placed within six inches of the existing life-safety sensor. The DSC WST-600 itself should be enrolled with the security system as though it were a conventional wireless smoke or CO detector. As a wireless device, the DSC WST-600 has an average battery life of five years. It uses a single CR123A battery for power. The device can be safely operated in temperatures ranging from 32°F to 120°F.